All of you came with the intention to serve Kṛṣṇa, and on that basis I became attached to you. Yet now I see that you attended this ceremony only as a fashion and are returning home to domestic affairs, though you assured me that you would serve Kṛṣṇa. Thus I have been deceived. 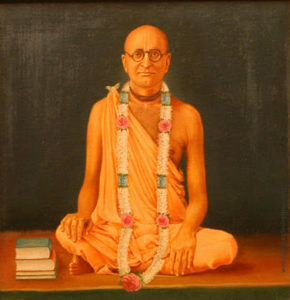 If you say, ‘No Prabhupāda, we did not deceive you. We just have a few days’ work to complete, just a few responsibilities to tend to, after which we will return and do whatever you instruct,’ then I say there is no need for it. If someone says, ‘My house is on fire, so first let me put it out; then I will come,’ still I maintain that there is no need for that. If fire burns the whole world, do not waste time trying to put it out. All necessities can be met only by Kṛṣṇa-sevā. You have no obligation other than to serve Kṛṣṇa. The object of your and everyone’s self-interest is Śrī Kṛṣṇa. The living being has no duty other than to serve Him. All your fulfilment reposes in Kṛṣṇa’s lotus feet.